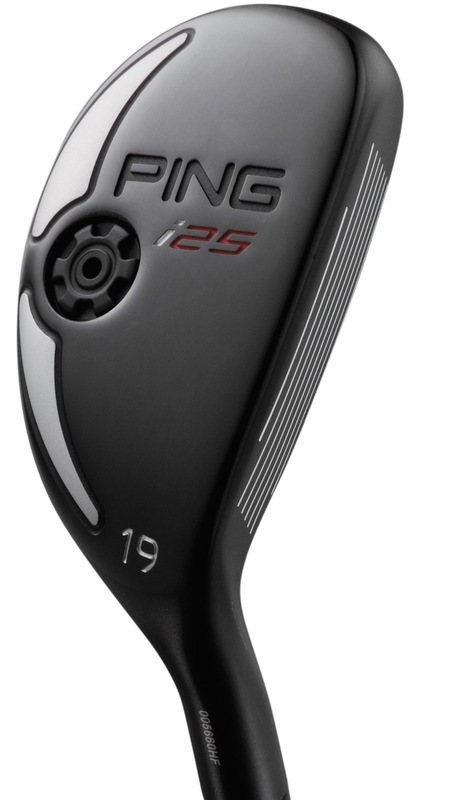 We speak to Marty Jertson, Ping's senior design engineer, about the new Ping i25 family, and he reveals some interesting colour options that were considered for the racing stripe. I’ll just start with the i25, it's obviously a continuation of the i-Series. 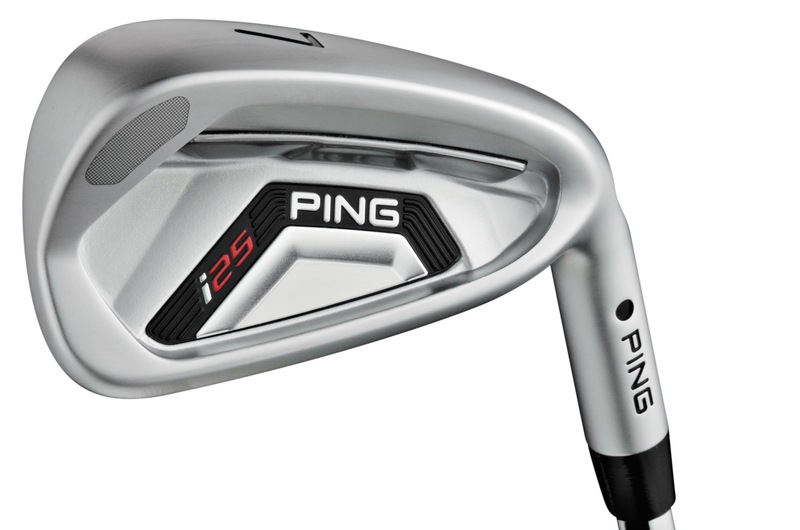 Why did Ping decide that was the way forward, instead of creating a new line? Is it because people can relate to the performance of each line? Yeah, I mean we try and think about it as targeting what the golfer will think is good for them, as opposed to coming from the standpoint that the golfer knows what those products will do for them. Our G-line is built to launch high, but still give the ultimate forgiveness, while the i-line is built to take back spin off, but still provide a tonne of forgiveness. 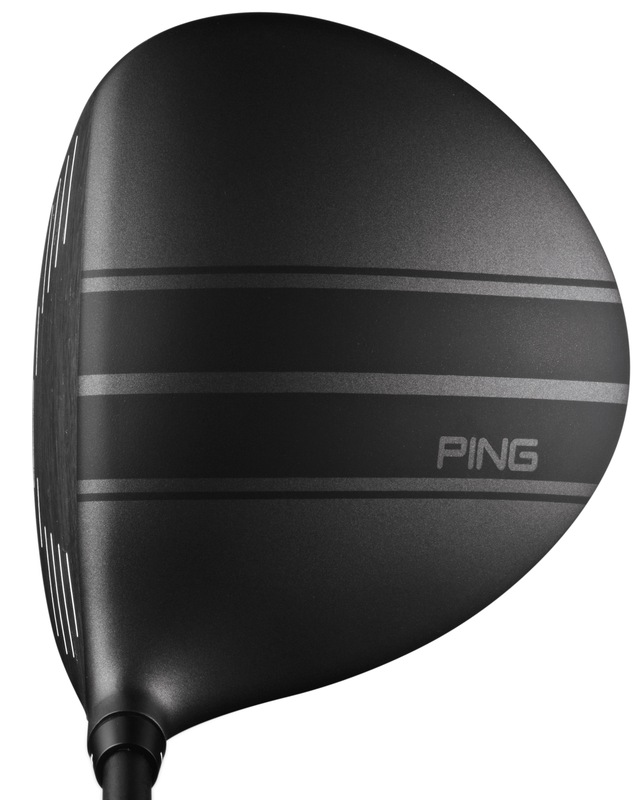 What improvements have been made in the i25 driver from the i20? In the driver category, we’ve added adjustability over the i20. The i20 which didn’t have our lightweight, very aerodynamic adjustable hosel system, which has unlocked the ability to fit people into the optimal settings and to be able to fine-tune your loft without having to sacrifice performance. A lot of the adjustable hosel systems out there are big and bulky, ours is extremely lightweight, lean, and didn’t add any diameter to the hosel so we ended up not having to make any performance sacrifices. In the structure and design of the body itself, we made some improvements to the variable thickness design of the whole structure and saved some weight through our adjustable hosel system. We were able to boost the MOI in both orientations; the heel-toe orientation and the top-bottom orientation, so we get more forgiveness on off-centre hits. That’s how we get the low spinning driver, and I guess, to supplement that, we’ve moved the centre of gravity down and back further than what the i20 driver was. That produces more ideal launch conditions, improving the initial launch angle, and it gives a little less spin than the i20 driver, getting us close to those ideal launch conditions that we use to increase distance. Then the MOI improvements are used to stabilise the launch conditions. One of the risks with low spinning drivers is that, if you hit it high on the face, you don’t get the spin, and you get this kind of catastrophic knuckleball kind of flight. With the i25 driver, it’s a low spinning driver, but, because it’s a low spinning driver with the CG very low down and back, and a super-high MOI, you don’t run that risk of the ball nose-diving down out of the air when you hit it high on the face or mishit it a little bit. You mentioned the Trajectory Tuning system a little bit there, and it’s been used in both the G25 and Anser in the past, the feedback you received must have been extremely positive from golfers. Yeah, it’s been a really good system because it’s simple. We’re not trying to say that it does something more than it actually does. It has a minimal effect on the face angle of the club, which we want. We don’t want to have a drastic shift in how the club sits at rest, we have not found that to be a good long-term attribute of the club to help golfers play their best golf, so we don’t want to have drastic shifts in the resting face angle. We’ve done a lot of research with customers, and a lot of people out there are very confused on how some of the other adjustable products work. How it has too many settings and is confusing for them, leading to them not even using those settings. Our adjustable hosel system is just three settings, it’s very simple, we’ve just put a plus and a minus on the hosel and you don’t need a users manual to understand it. That’s the feedback that we’ve gotten on our system; that it’s very easy and simple to understand. One other big part of the i25 driver and fairway woods is the introduction of the racing stripes as alignment aids, how was the decision made to include them? “Yeah, we’ve been working on them for a long time. We did a lot of research in putters, and actually just alignment in general, to find out what are the most effective alignment aids that we can use on any type of product. We used putters to do this research, but we really ended up applying it to the driver. “There were a couple of really key characteristics, and one of them was that the width of the stripe is exactly the same as the width of the golf ball. That’s something we’ve used quite a few times throughout the years, especially in our putter design. “The second characteristic, our customers will have seen in a lot of our putter lines, like the Nome, Sidney, the Greyhawk and our new Anser T model, is the long continuous straight line from the front to the back of the club, and the racing stripe has that. Those two elements were pulled from some alignment research. “The history of the racing stripe is that it was originally put on racing cars to help drivers, when they were in a crash or a spin out, as an alignment cue so that they can get their bearings straight and know exactly where their car was pointed. “That same performance influence is something we wanted to put into our clubs, because the driver has a beautiful free flowing form and shape to it, there’s not a lot of lines and angles. There was a need out there to improve the alignment characteristics on metalwoods in general. You’ve got the three different weights of shaft, there, and I’ve been told that was one of the key aspects of the club. Can you explain why it’s one of the key aspects and how it impacts on performance? “Yeah it really is. We take a lot of pride in our shaft designs and the fitting element of it, and our shafts boost the overall performance of the club. Our high balance point shafts empower us to put more weight in the head, which delivers more ball speed. But, in the case of the PWR shaft family, it’s really built to give the ultimate tour level fitting experience and deliver it directly to our customers in a convenient way at retail. “One of the big problems that’s out there that has been ignored a little bit in the modern era of adjustable clubs, is that when you go to do shaft fittings, any random after-market shaft can have a lot of variance in the swing weight contribution characteristics, it’s just a huge range in swing weight. “What our shaft family does, and the way we’ve designed it ourselves, is that the 75g versions have a higher balance point, and contribute to the swing weight in exactly the same way and amount as the 65g version and the 55g version. As a result, you can now fit golfers with the total weight of the club and be able to move the total weight plus or minus 10g without affecting the swing weight. Moving onto the hybrids. Amateur golfers are turning more and more to including hybrids in their setup, what impact will they get from the reduction of the bulge and roll in i25? “Yeah, the reduction in the bulge and roll was done for a couple of reasons. Number one, to give it a more squared off look at address. It’s not a flat face like the Rapture driving iron. Our traditional hybrids have a 14-inch bulge and roll, where the i25 hybrid has a kind of halfway in between bulge and roll, giving it a flatter face and more of an iron type of look from a cosmetic standpoint. “From a performance standpoint, having less bulge and roll makes the club more workable because, to hit the shot higher or lower, you’re either moving the handle more forward or back at impact. If you have less contour on the face from a roll standpoint, you can move the handle more forward and have closer to a 1-to-1 ratio in terms of moving your hands forward. If you move them two-degrees, it’s going to take the loft down 1.5-degrees. Instead of the club with more roll would take it down only one degree. We’ll just finish with the i25 by talking about the irons. I know you’ve added the custom tuning port, where have the real improvements been made with the irons? “We’re bringing in a lower trajectory, softer feel and more control into the scoring clubs and we’re bringing in more distance, more forgiveness, more ball velocity and more height into the long irons. “The i20 set was obviously very successful and very popular for us because it has some of those blended set characteristics. We’ve taken it to another level with the i25 clubs. “From a cosmetic standpoint they’re going to be more inspirational in the scoring clubs, but the centre of gravity is more forward. This brings the trajectory down, and givessofter feel, and the face is more stable because we have thicker stabilising bars in the shorter irons and when you look at the longer irons, they’re slightly bigger, the faces are thinner, the CTP cavity is lower in the head, get more ball velocity out of those and with more ball velocity we deliver more distance with more height and better stopping power. The big thing in todays irons is that it’s easy to deliver distance just by strengthening loft and other things like that, it’s hard to deliver distance in irons and not sacrifice that stopping power and that height in trajectory and that’s what we’ve done with the i25. If you were asked to give the one single benefit of the i25 family to the golfer, what would it be? Flatter trajectories without sacrificing forgiveness.